Lyon is considered France’s capital of gastronomy. And with good reason. With the highest concentration of restaurants per capita in the country, Lyon lies in an enviable position. Literally. 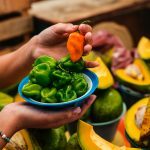 It’s surrounded by the best sources of raw ingredients and fresh produce. And this allows the city and its people the ability to create some of the best dishes in the world. Bresse chicken and Charolais beef from the north (with Bresse chicken dubbed as “the Rolls Royce of chickens” by Anthony Bourdain). Charcuterie from livestock farms in the Lyonnais mountains on the west (like the Rosette de Lyon and the bigger version, Jésus de Lyon). Lake fish from the Savoy in the east. Cheeses from Dauphiné in the south-east (the Saint-Marcellin and the Saint-Fèlicien). Fruit and vegetables practically from all directions. It also doesn’t hurt that the city’s flanked by two major rivers that converge, the Rhône and the Saône. A fact that further doubles the advantages that go with being situated next to a river. 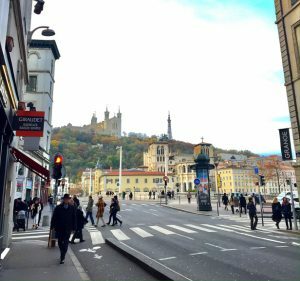 As if those weren’t enough, Lyon is merely an hour’s drive from the world-renowned wine regions of the Beaujolais and the Côtes du Rhône. And a little further but just a couple of hours away lies the Burgundy region. Creative, pioneering “mothers from Lyon”, these were the women who left their homes in the 19th century to serve as personal chefs to Lyon’s bourgeoisie. And we have them to thank for discovering the many ways to make the best out of the wonderful ingredients within their reach. They were the ones who started it all. 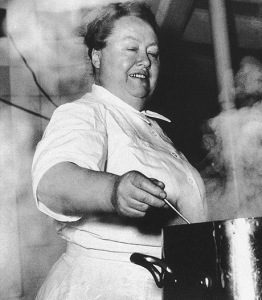 The most well-known of whom was Mère Eugènie Brazier, the first woman to earn three Michelin stars in 1933. And it was in her kitchen that Lyon’s most celebrated chef, Paul Bocuse, learned many of his skills. 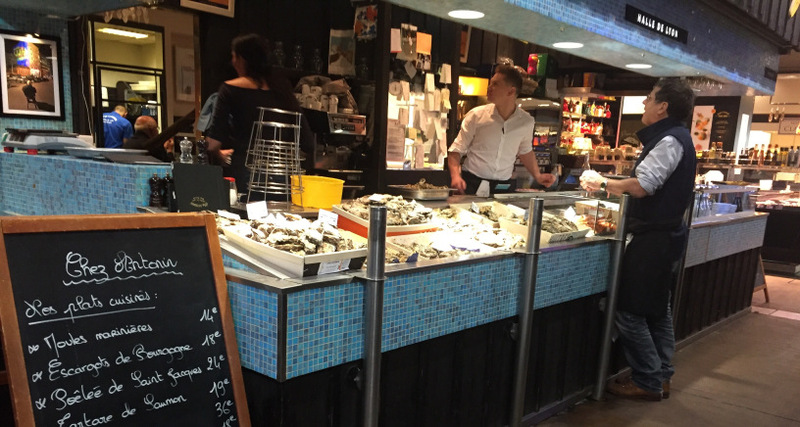 As expected of a major food capital, there are many ways to enjoy a meal in Lyon. We’re talking about the city that gave Coq au Vin to the world, after all. You can go to the morning markets along the banks of the river Saône (Marché Saint-Antoine) and in the old neighbourhoods (Marché Croix Rousse and Sunday market in Place Carnot). View from the elegant Presqu’ile neighbourhood looking into the Basilique Notre-Dame de Fourvière high atop the Fourvière Hill, with the old town below it just across the River Saône. And there’s certainly no lack of contemporary restaurants all over the city. 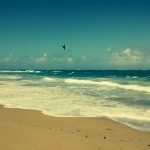 Though I’m no food expert – just a simple traveler who loves her food (which is like most people, right?) 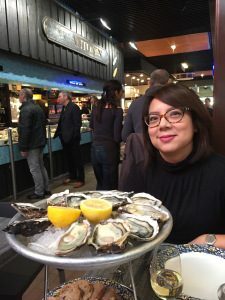 – here’s what I think are some of the eating experiences you should try that are unique to Lyon. The eating in most markets is generally good to begin with. Save from actually going to the farms to go catch or pick the ingredients yourself, food can’t get any fresher than this. There are a lot of covered markets all over the world, but in this one, Lyon’s very own son, legendary chef Paul Bocuse, handpicked the best players from the region and placed them all under one roof. Charcuterie from Colette Sibilia, cheeses from Mère Richard, oysters from Chez Antonin, just to name a few. You pay a slight premium for eating or buying here, but at least you know you’re getting the best. Who hasn’t heard of these typical family-run restaurants that serve home-made Lyonnaise cuisine? Traditionally serving simple, inexpensive dishes made of only the freshest ingredients in season, they were established by the Méres Lyonnaises upon the decline of the silk industry in Lyon in the late 1800s when bourgeois families could no longer afford to hire them as cooks in their households. Over the years, however, regular restaurants started using the term “bouchon” loosely without following the traditions associated with one. And nowadays, eating in bouchons isn’t as cheap as it used to be. So in 2012, the Lyon Chamber of Commerce created the label “Les Bouchons Lyonnais” to help customers identify the restaurants that remain faithful to the traditions of a bouchon. 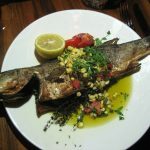 This is usually based on standards in relation to food quality and origins, home-cooking, hospitality, and atmosphere. A certification that is issued annually, there are currently only 22 restaurants on the list. We ate in La Vôute “Chez Léa”, which was recommended to us by our lovely host who grew up and continues to live in the area. It was owned by Léa Bidaut, a Mère Lyonnaise who began her career in 1927 and retired in 1981. Her recipes are still used in the bouchon to this day. 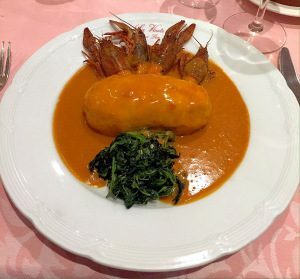 A homey restaurant with an amiable staff, I just had to try one of Lyon’s traditional dishes, quenelles, a melt-in-your-mouth pike dumpling in Nantua sauce (a béchamel crayfish sauce with Cognac). It was delicious! Not heavy or fishy-tasting at all. Just a nice blend of delicate flavours that I absolutely enjoyed. We chanced upon Pignol across Place Bellecour as we were looking for a deli to buy some cold and hot dishes for a nice, relaxing dinner at home. A good sign was the number of locals who seemed to be doing the same thing. 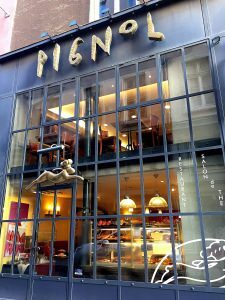 Having learned of Pignol’s patisserie just around the corner along Rue Émile Zola, my husband went there the next day to get some freshly-baked croissants. Buttery and flaky, they were divine. Much better than the ones we had from other places on previous mornings – and that’s not to say that they were even bad at all. Far from it. So we went back for afternoon tea as well and we were not disappointed. I have to mention, however, that though we had other types of pastries that afternoon, the almond croissant that we had earlier for breakfast would have been just as perfect with coffee in the afternoon. Sooo good! 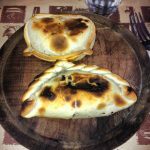 Not far from Pignol, also across Place Bellecour, you can get another Lyonnaise specialty called coussins, or cushions. These are little green candy squares made of chocolate and almond paste or marzipan. This particular concoction was created in the 1960s by local confectioner, Voisin. I may have found it a tad too sweet (well after all, that’s exactly what it is). Perhaps it isn’t the kind of sweet you can pop into your mouth one after the other either (it was pretty precious at over 6€ for 100 grams). But I think it was delicious and is certainly worth a try just the same. 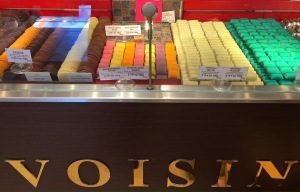 Voisin also makes macarons and chocolates. The delectable green coussins on the right. You can get them at any of the four Voisin locations across central Lyon. In Asia, subtle flavours in our local, regional cuisines isn’t exactly the norm. Specifically in my country, which was under Spain for 400 years. 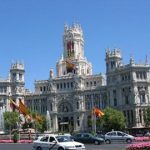 And with it came an acquired taste for the richer, bolder flavours characteristic of Spanish food. So I found the cuisine in this region of France to be rather delicate, in contrast. The wines I found to be lighter, too, and not as bold as those from other regions. Again, I’m no expert. This is just a humble observation from someone who strives to try whatever’s local or regional in the places I visit. But did I like it? Absolutely yes! It was definitely a nice break from what my palate’s generally more accustomed to. And like a friend, if my palate could talk, it would most surely thank me for taking it on a nice culinary holiday. Merci beaucoup aussi, mon ami.